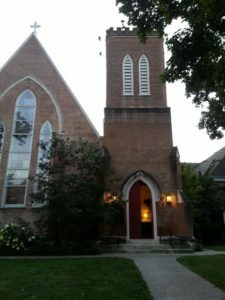 Church of the Ascension has worshiped on the present site since 1836, with more than 175 years of ministry in the Frankfort, KY area. Many needed repairs were done over several years to include kitchen and meeting facilities for members and the community-at-large. Borrowing increased to pay for repairs to the point that ministries would soon suffer to pay the bills. Members knew their only answer was a debt reduction campaign. A debt reduction campaign is not the most exciting campaign, but often needed to pay down debt that cannot be met solely through the operational budget. Kirby-Smith Associates was chosen due to our fresh ideas and program on Creative Ways to Give. Let us bring your hopes to life! Whether you are looking to grow your space, your giving, or your membership — the Kirby-Smith team is prepared to help you make your dreams a reality.